Abstract: I propose five factors  peer review, open access, enriched content, available datasets and machine-readable metadata  as the Five Stars of Online Journal Articles, a constellation of five independent criteria within a multi-dimensional publishing universe against which online journal articles can be evaluated, to see how well they match up with current visions for enhanced research communications. Achievement along each of these publishing axes can vary, analogous to the different stars within the constellation shining with varying luminosities. I suggest a five-point scale for each, by which a journal article can be evaluated, and provide diagrammatic representations for such evaluations. While the criteria adopted for these scales are somewhat arbitrary, and while the rating of a particular article on each axis may involve elements of subjective judgment, these Five Stars of Online Journal Articles provide a conceptual framework by which to judge the degree to which any article achieves or falls short of the ideal, which should be useful to authors, editors and publishers. I exemplify such evaluations using my own recent publications of relevance to semantic publishing. Abstract: One of the recent dominant topics in library technology has been the development of library mobile websites and services tailored to mobile users. While much has been written and discussed on the subject, very little of the conversation has focused on mobile access to digital collections. Libraries and museums spend significant resources in an effort to identify, digitize, ingest, describe, store, and display items in their digital asset management systems (DAMs). Creating user interfaces that provide online access is just one component of building a digital collection, and represents a continual challenge to stay abreast of evolving technology and user expectations. The latest challenge for libraries and museums is to adapt and grow our digital collections to meet the needs of an increasingly mobile user. We present the findings from in-depth case studies of four selected institutions and university libraries. These institutions were chosen because they already offer mobile services built around their digital collections, and are thus leading the effort to present them in uniquely mobile-centric ways. Abstract: The European Union promotes programs of "mass digitization" in order to make the cultural and scientific resources in Europe accessible to all, and to preserve them for future generations. The Accessible Registries of Rights Information and Orphan Works Towards Europeana (ARROW) project began in September 2008 with the aim of facilitating the management of rights in digitization projects. Partial funding was provided by the European Commission under the programme "ICT Policy Support". The outcome of the project was an automated system for distributed management of rights information that meets the needs of digital libraries and is easily adaptable to other contexts of use. With the approval of the "ARROW Plus" project in April 2011, the system will be further improved, extending the number of covered countries, and integrating rights information about images contained in books. Abstract: The SWORD (Simple Web-service Offering Repository Deposit) protocol was designed to facilitate the interoperable deposit of resources into systems such as repositories. The use of an interoperable standard eases the burden of developing clients to deposit such resources. This paper examines nine different deposit use cases, and provides case studies and examples of each use case to demonstrate the wide range of repository deposit scenarios. The use cases range from the deposit of scholarly communication outputs from a publisher to a repository and the automatic deposit of data from laboratory equipment, to inter-repository transfer and collaborative authoring workflows. Abstract: Innovations in science oriented web multimedia, large-scale data exploration and visualization, speech recognition, and video and image indexing and analysis, offer opportunities for accelerating scientific discovery. The 2011 ICSTI Workshop on Multimedia and Visualization Innovations for Science was held on February 8, 2011, hosted jointly by the International Council for Scientific and Technical Information and Microsoft Corporation. It offered a unique opportunity to discuss the current leading-edge projects in scientific multimedia and visualization in government, business, industry and academia. The First World War Poetry Digital Archive is an online repository of over 7,000 items of text, images, audio, and video for teaching, learning, and research. 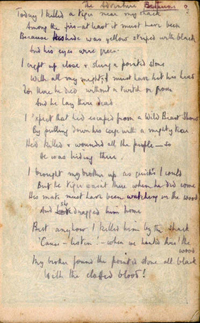 This multimedia database of primary source material (manuscripts of poems, letters, diaries, etc) plus contextual information (images, audio and film material from the Imperial War Museum) is browsable and searchable, and freely available. 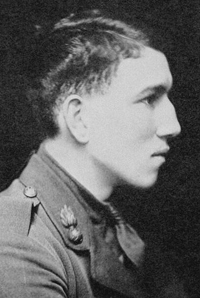 The heart of the archive consists of collections of highly valued primary material from major poets of the period: Wilfred Owen, Isaac Rosenberg, Siegfried Sassoon, Robert Graves, Vera Brittain, Edward Thomas, Roland Leighton, Ivor Gurney, Edmund Blunden and David Jones. This includes manuscript variants of poetry written during the War, and in retrospect; diaries; letters and service records. Through the digitised contemporary artefacts from the Imperial War Museum, the archive widens its remit to include archival resources focusing on the role that women played during the war, imperial troops, and and writing from the Home Front. These collections are supplemented by a comprehensive range of multimedia artefacts from the Imperial War Museum, a separate archive of over 6,500 items contributed by the general public, and a set of specially developed educational resources include online tutorial, teaching packs, and an exhibition in the three-dimensional virtual world Second Life.